New research shows "pill mills" are only a small part of over-prescriptions for pain killers. Researchers found in a new study the over-prescription of opioid painkillers is due to a large number of general practitioners prescribing the drugs, and not specialists or so-called “pill mill” operations, according to an article on upi.com. Efforts have been underway for several years to decrease the number of prescriptions for the drugs, including a law passed in Florida back in 2010, because the state had a number of physicians with pharmacies that were operating in their offices and were prescribing large numbers of medications, earning the name “pill mills.” However, a study released earlier this year found the elimination of the “pill mills” only accounted for a slight reduction, 1.4 percent, of the drug prescriptions over the period from 2010 to 2012. This new study seems to show that the efforts to stop corrupt clinics are not effective, and that the vast majority of the prescriptions come from the GP’s themselves. 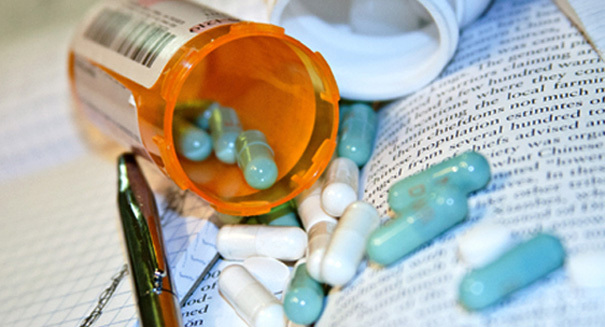 An earlier study revealed that 1 percent of those writing prescriptions for opioid drugs accounted for almost one-third of all prescriptions. Additionally, the top 10 percent of those prescription writers, were responsible for 80 percent of the prescriptions. The Stanford study looked at the prescription data for all Schedule 2 opioids, like hydrocodone and codeine, in the year 2013 which involved 381,575 prescribers and 56.5 million prescriptions. The results revealed that 57 percent of all opioid prescriptions were written by the top 10 percent of the writers, a number that was close to the drug pattern figures released by Medicare in which the top 10 percent accounted for 63 percent of all prescriptions. The researchers say most of the prescriptions were written by family practitioners, internal medicine practitioners, nurse practitioners, and physician assistants. Dr. Jonathan Chen, a professor at Stanford said in a press release that the study’s results show that shutting down the “pill mills” would not be sufficient to counter the over-prescribing of opioid drugs, and added the efforts must address a broad swath of prescribers to be effective. Dr. Chen also said physicians face difficulty in deciding whether or not to prescribe opioids to a patient who may have a problem with chronic pain and could have a substance dependence problem as well, and noted he was not surprised at the epidemic of opioid overuse, given the tenfold increase in volume over the last 20 years. The results of the study can be found in the Journal of the American Medical Association.